Y'all...how is it already October? I feel like this year is just absolutely FLYING by. 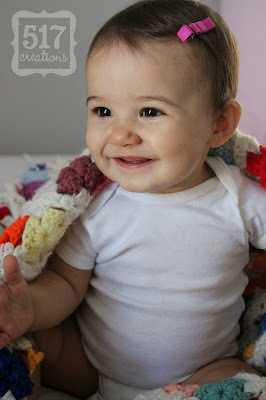 My little peanut just turned TEN months old, which makes me want to both cheer and weep at the same time. I promise I will be back to regular blogging this week, but I wanted to share with you a few Pinterest recipes that I have tested and LOVED! If your family eats chicken as often as ours does, you MUST try this Butter Chicken recipe by Maple Leaves & Sycamore Trees! I have made it twice in the last 2 weeks and everyone has loved it. I made these cheesy potatoes to go along with the Butter Chicken one night...they are delish! Feeling like baking for fall? This Starbucks Pumpkin Pound Cake recipe is good! I made it in mini-loaf form (I bought a 9-count mini loaf pan at Joann's and LOVE it!) and they were seriously good. Have you tried any great Pinterest recipes lately? Leave me a comment with the pins!